Oh my gosh, this makes me so happy! What a memorial to Kim! I scrap with so many of her designs...what a legacy she has left. I think of her every time I turn on my computer. I have checked back her several times to see if you posted anything and to perhaps see how you are doing. You couldn’t honor her in a better way! Thank you! I am sooo excited to hear this!! I kept checking back to see if anything else had been posted to her blog... I've followed it for many years. She was a very talented designer and an inspirational person who looked for the best in everything. I enjoyed reading her daily notations about her life and emotions through her long journey battling the big C.
I am thrilled that her designs will continue to be available to current fans and also to those new scrappers who will fall in love with them. Bless you for continuing her legacy. Thanks so much! she was my favorite artist and i miss her. What a great thing Eric! So happy you made this decision. 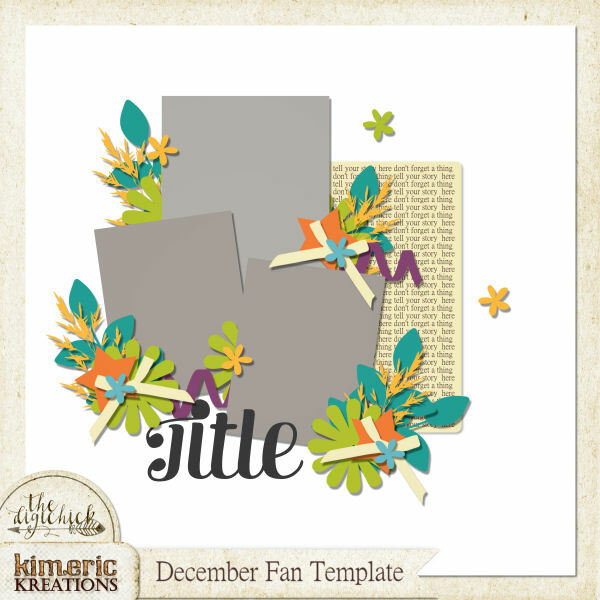 Since it looks like you will be keeping her blog "alive" then people can still grab the freebies that Kim shared on the blog for the kits that will be available. It was an honor to work with/for Kim, she was definitely a joy!!! I come by here every now and again. Kim was so special. Thank you, Eric. Keeping her creative work available is a great thing. Thanks so very much Eric! I am sure you know that Kim was loved by so many of us. We felt a kinship to her through her wonderful and unique art. She was my favorite designer. She is missed and always will be as we scrap with her designs. So wonderful to know that other scrappers will have a chance to get some of Kim's wonderful designs. You know how much The Digi Chicks team loved Kim are happy to see her designs live on. That is fantastic news! Thank you Eric. Happy to hear Kim's passion and designs will not be forgotten and still accessible to everyone. She would be pleased. There is surely an entire chorus a happy singing hearts at this news, thank you ! I kept all of my CT project personal blog posts and will try to update them with links to the My Memories site for you. OMGoodness, I am so happy to hear you will carry on her designs. I was lucky enough to have won one if not her last contest for an entire collection. She was so kind to me and we talked for a while. I miss her, and her inspiration. I am happy others will continue to enjoy her work!! God Bless you and yours!! Oh Goodness me! i had followed Kim for many years and was hoping against hope with her struggle ... i've never taken her blog off my taskbar ... it's there, front and center, to remind me every day what a wonderful light still burns. this is really good news that her gorgeous designs will still be out there, bringing light to so many old faithfuls and those who are just discovering her talent. for those of us who create scrapbook pages, the designers are like old friends ... so thank you for keeping her light burning bright! Wonderful news Eric and thank you for carrying on her legacy. I followed Kim for quite awhile and purchased many of her kits (but wasn't able to get everything) when I thought they wouldn't be available anymore. Now we can all share in collecting more pieces of Kim's artful collections. Kim created such beauty and has touched so many lives with joy. Thank you for keeping that beauty, joy and generosity in this world! I miss reading this blog, so I come back to it and read the old posts from time to time. Kim was an amazing designer! She was so generous in sharing freebies. I bought many of her kits. Thank you for keeping her memory alive through her artwork. Tears of joy as I read your post. I just couldn't remove this site from my favorites list and now I'm so glad that I didn't. I have so many of her kits and I'm so happy that her beautiful designs will continue to inspire others. Thank you. Was thinking of her Family at Christmas and found this post. Thankyou for sharing her with us. Always appreciated her understanding of colour! I never un-bookmarked "kimeric kreations" and clicked on it tonight to reminisce. THANK YOU for making her designs available again! Thank you so much, Eric, for keeping Kim's designs available and her memory alive. I've loved following her blog, and her designs are fantastic. I'm glad I popped in to see this. Eric, I don't know if you ever come back to check on this. but I just wanted to tell you that in sorting through my collections today, I enjoyed so much going through Kim's. She was so talented and Generous. She gave away so much of her things and shared that talent with us in so many ways. Every time I go through my stuff to scrap or just sort, I see her beauty and remember her - and now you. Thank you so much. I think we all still miss her - A LOT!! Thank you so much Eric for putting Kim's designs out there and making them available to us again. Kim was a very talented designer. Like so many others I could not bring myself to remove her site. Thank you so much for providing a way to keep her talented designs available for us. Eric my heart goes out to you and can't thank you enough for being there every step of the way on that difficult path with her. I have been there so I know only too well how much that meant to her. Even more beautiful than her designs was her courageous,uplifting and loving spirit. God be with you Eric. I am so very sorry for the loss of this wonderful and creative lady. Blessings and prayers to all that loved and knew her personally. She will be missed. Thank you Eric for putting these designs out there for us. I was a huge fan of her work and was saddened to hear the news. I am so sorry for your loss and appreciate that put these out there for her work/memory to live on. Many blessings and prayers to you and those who were in her daily life. 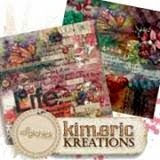 Like so many before me have commented, I keep Kimeric Kreations in my favourites and I return here just to look back at the beautiful kits...many that I have. I love to look back at the inspiration added as well! Somehow I missed your addition, Eric but I am so happy that I've now seen it and know that Kim's work will be seen and collected by more happy scrappers out there! Kim was always my favourite designer and her collections always spoke to me! I miss Kim! My heartfelt condolences to you on your loss Eric. I hope you are able to visit Kim in your memories often.